Home » Can Chewing Gum Fight Cavities? Chewing gum is a great way to freshen your breath with mint or cinnamon flavoring, but did you know that some chewing gum can actually improve your oral health? Gum sweetened with xylitol can help you freshen your breath and keep your mouth healthy. That’s because xylitol has the sweet benefits of traditional sugar, but it doesn’t have the negative effects on teeth like sugar. Here’s why. When you brush your teeth, one of the prime goals is to clear your teeth of debris. That’s because sugar and carbohydrates in the leftover food debris can feed bad bacteria on teeth, and lead to prolonged acid attacks on teeth. These acid attacks erode enamel, and cause tooth decay and cavities. By clearing your teeth of food debris, you help prevent prolonged acid attacks and protect your tooth enamel. 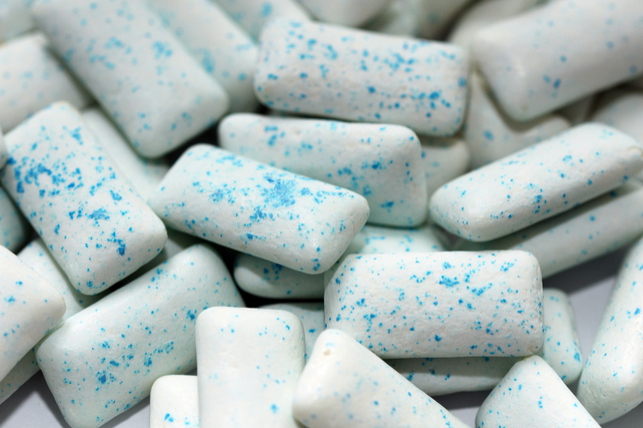 Most chewing gum can’t claim to help clean your teeth, but gum sweetened with xylitol can. That’s because xylitol helps stimulate saliva production, which naturally cleans teeth. The mouth fights cavities by producing saliva to wash away food debris, and restore its proper Ph balance. Xylitol naturally stimulates saliva that aids in overall oral health. Increased saliva can help prevent bad breath by eliminating dry mouth, and prevent prolonged exposure to acid and sugar caused by food debris. Xylitol tastes like sugar, but it’s very different. Sugar comes from the sugar cane plant, and is genetically different from xylitol. Xylitol is found in fruits and vegetables and its genetic makeup is much healthier for teeth than traditional sugar. The proteins and carbohydrates in traditional sugar fuel cavities, while the genetic makeup of xylitol prevents this from occurring. Xylitol also comes in granules that resemble traditional sugar. You can buy xylitol “sugar” from health food stores and natural grocers, usually in the baking aisle. 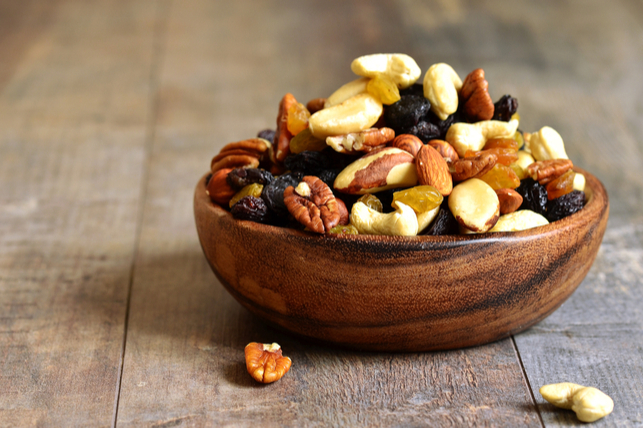 Try substituting xylitol for sugar in your recipes, and see if the taste is affected. By incorporating more xylitol – and reducing your sugar intake – you can gain vital oral health benefits. Try chewing gum sweetened with xylitol 15 minutes after a meal to improve your saliva production, and naturally clean your teeth. You can find xylitol gum is most health food stores, or online.